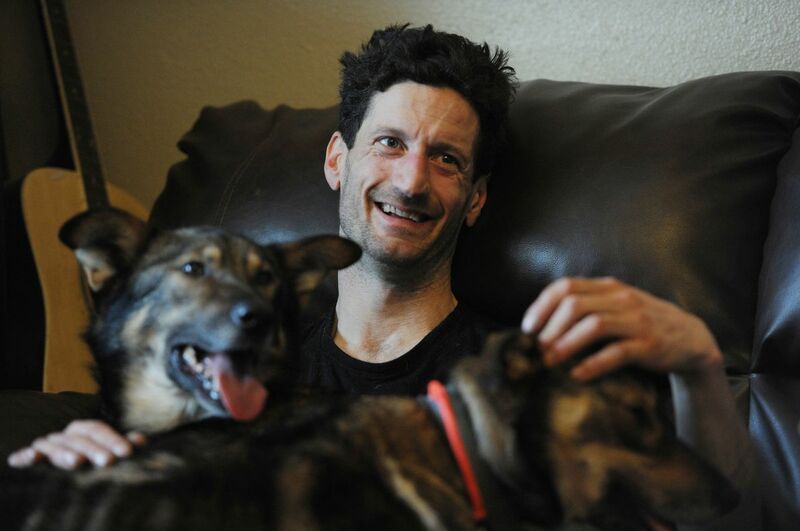 WILLOW — On a recent winter afternoon, Iditarod musher Nic Petit sat on a couch with two sled dogs draped over his lap. Seven more dogs lay sprawled across a nearby mattress on the living room floor. "We're family, they're the kids," Petit said. Once a nomadic ski bum who lived with a dog named Ugly in a Subaru, Petit, an easygoing 38-year-old, will start his eighth Iditarod Trail Sled Dog Race next weekend as a top contender for first place. 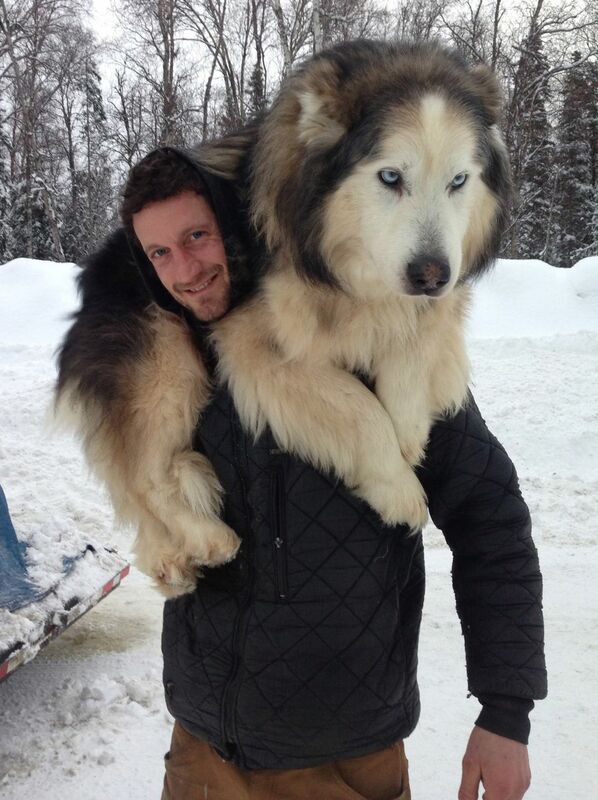 He said he never expected to become a musher, let alone a competitive one. Sometimes you fall into things and they become your life. For Petit, that thing was dogs. They gave him focus, he said. They gave him drive. They gave him long-term goals. And then he started to succeed. He placed third in last year's Iditarod and won several shorter races this winter. It all began by accident. "I moved to Alaska (from New Mexico) because I wanted snow vs. sand and tumbleweeds and then I got a dog, and then the next thing you know, I'm sliding on snow with a dog team," Petit said. For now, Petit has a few goals for himself and his team. The main one, he said: "To win the Iditarod with the best-looking group of dogs there has ever been." Iditarod veteran musher Nic Petit has a "team meeting" in the Willow house where he is training on Monday, Jan. 22, 2018. His girlfriend, Emily Maxwell, will be a rookie in this year's race. Petit's Iditarod story starts in 2010, but his story with dogs starts years before that in the suburbs of Paris. That's where he grew up and where a pet boxer named Pamela gave him a boost. "She lifted my legs and then lifted my torso and those were my first steps," he said. As a teenager, Petit moved to New Mexico. He graduated high school and traveled to Alaska. He wanted snow. He found it in Girdwood. Petit worked as a carpenter and he skied at Alyeska, waiting at the bottom of the mountain so he could catch people as they left and ask to use their lift ticket. He also adopted a blue-eyed mutt named Ugly that looked like the Siberian huskies that pull sleds in storybooks, not the smaller Alaskan huskies that frequent today's sled dog races. Sometimes, Petit and Ugly traveled by sled through town. "He would just pull me really, really slow around Girdwood and safely home from a night out," Petit said. Petit and Ugly eventually left Alaska on a road trip in 2004, driving through more than 40 states and at one point stopping in Wyoming, where he wound up at a musher's tour business. He wanted a job that would let him bring Ugly to work. "I liked the idea of getting paid to hang out with my dog," Petit said. 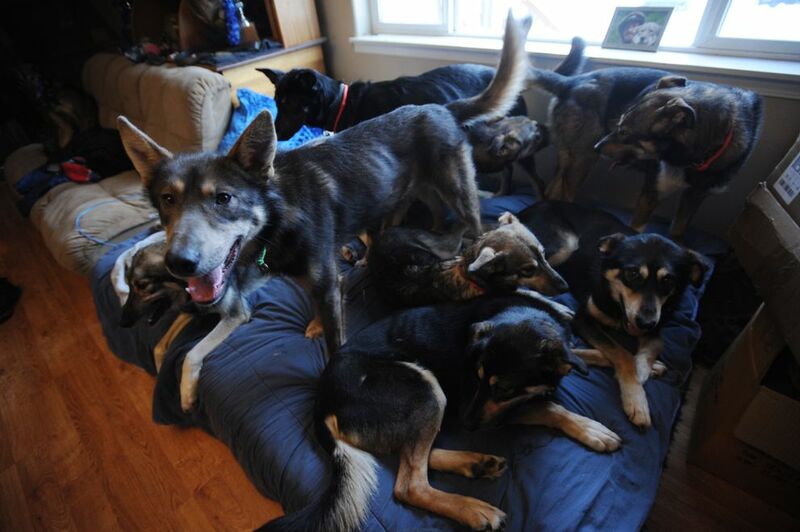 "My first day ever on a dog sled, I was the musher with 14 dogs and 2 clients." He moved back to Alaska and that's how he and Ugly wound up sleeping in a Subaru, parked in the driveway of longtime musher Jim Lanier. Lanier, a 77-year-old Iditarod musher who lives in Chugiak, hired Petit as a dog handler in the fall of 2010. "He was always up bright and early, getting the dogs ready to go before me," Lanier said. "And, about midnight, he'd come out and hook up a team and go for a run." After about a month, Lanier and his wife asked Petit to move inside. That winter, Lanier found out he had to have hip surgery and couldn't compete in the upcoming Iditarod. He still wanted his dogs to race, he said, so he asked Petit to run his team. "Doing the Iditarod was accidental," Petit said. "I should have never been able to do it in the first place because I couldn't afford the dog team. Jim and his family really changed my life." Petit said Lanier gave him one piece of advice for the 2011 Iditarod: Whatever you do, get as close to the front as possible. "I said, 'Yes, sir,' " Petit recounted. "So I stayed away from the back of the pack and I got 'Rookie of the Year.' And that's really what kick-started it." Petit placed 28th, the first rookie to make it across the finish line that year. 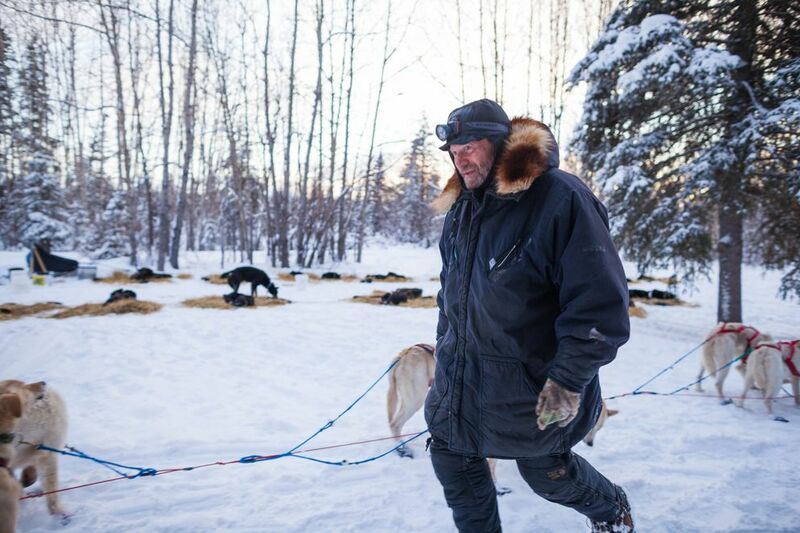 In the years that followed, Petit cobbled together his own sled dog kennel on a shoestring budget with help from other mushers, some who lent him dogs and others who gave him food or helped with race costs. In four of Petit's next six Iditarod races, he placed in the top 10. It all just seemed to fall together. 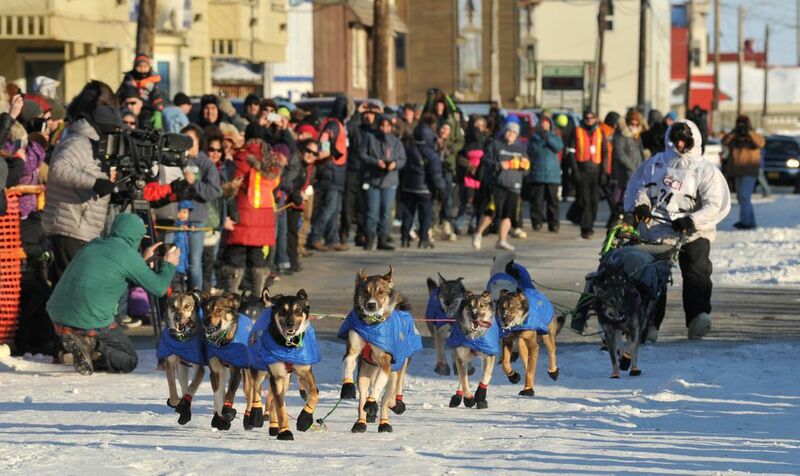 Last year, he finished just minutes behind four-time Iditarod champion Dallas Seavey, who took second. This winter, Petit had four victories in a row at the Willow 300, the Tustumena 200, the Knik 200 Joe Redington Sr. Memorial Sled Dog Race and the Copper Basin 300. Lanier said he's not surprised that Petit has become an accomplished musher. 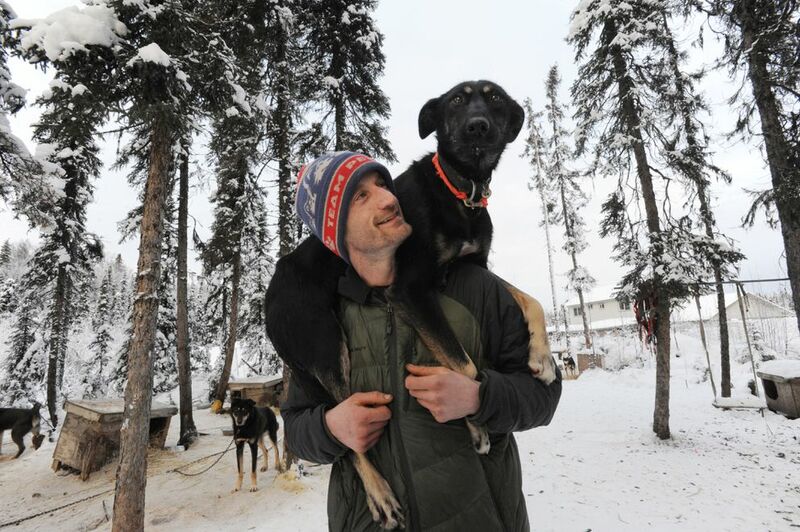 "He's a musher who is more one with his dogs than anyone I know," Lanier said. "Even way back when I first was working with him, he kind of lived with his dogs like they were his children. He would sleep with them, have them in his house, and he still does that." After each race, Petit said he holds a "team meeting," bringing his dogs inside to debrief. Earlier this winter, he brought some of his team inside just to hang out. As he talked about his mushing career, he petted sled dogs Aliy and Pickle. On the mattress, other dogs played, some slept and some just sat and panted. Petit said he and his 40 or so dogs split their time between Girdwood in the summer and Willow in the winter. But one day he hopes to have his own big house. Why? So there's room for more than two dozen cubby holes (so his dogs can sleep inside if they want) and 12 doggie doors (so they never have to stand in a line), he said. "I want it all," Petit said. "They'll have it one day." Correction: This article originally misstated the type of dog that typically competes in the Iditarod Trail Sled Dog Race.